!1)Model NO. : 09NB3241 2)Product size:14.8 x 21.3cm 3)Material A. Cover : PVC and Thermo-PU B. inner pages : wood free paper(cream) or offset printing paper (white) 4)Interior pages : 70gsm , 100sheets 5)Content: personal information / year calendar / DDD&post codes / IDD codes &time differences / world time zone / conversion formulae / container spec. 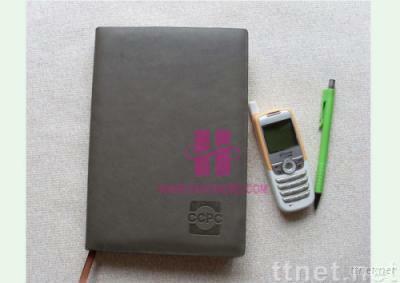 list / international sizes / temperature / diary pages 6)Printing: 1C/1C, offset printing 7)Binding: sewn-glue binding. You can note down everything everywhere as you like ! Thermo PU cover with table border technic, brings high class feeling whenever you take it !